Karch Kiraly and Kent Steffes won the AVP Miller Lite New Orleans Open. It was the 35th win for Karch Kiraly, the 3rd win for Kent Steffes, and the 2nd win for the team. Mike Dodd and Mike Whitmarsh won the AVP Jose Cuervo Gold Crown Clearwater. It was the 65th win for Mike Dodd, the 7th win for Mike Whitmarsh, and the 6th win for the team. Dax Holdren and Todd Rogers won the BVA VolleyHut Clearwater Beach Invitational. It was the 7th win for Dax Holdren, the 7th win for Todd Rogers, and the 7th win for the team. Barbra Fontana and Elaine Youngs won the BVA VolleyHut Clearwater Beach Invitational. It was the 17th win for Barbra Fontana, the 11th win for Elaine Youngs, and the 1st win for the team. Misty May-Treanor and Kerri Walsh Jennings won the AVP Cuervo Gold Crown Dallas Open. It was the 70th win for Misty May-Treanor, the 67th win for Kerri Walsh Jennings, and the 64th win for the team. Yoandri Kindelan Alvarez and Yunieski Ramirez won the NORCECA Guatemala City. It was the 1st win for Yoandri Kindelan Alvarez, the 1st win for Yunieski Ramirez, and the 1st win for the team. Sheila Lopez and Ania Ruiz won the NORCECA Guatemala City. It was the 1st win for Sheila Lopez, the 1st win for Ania Ruiz, and the 1st win for the team. Juliana Felisberta and Larissa Franca won the FIVB Brasilia Open. It was the 40th win for Juliana Felisberta, the 40th win for Larissa Franca, and the 39th win for the team. Phil Dalhausser and Todd Rogers won the FIVB Brasília Open. It was the 67th win for Phil Dalhausser, the 77th win for Todd Rogers, and the 64th win for the team. Oleg Stoyanovskiy and Igor Velichko won the FIVB Xiamen Four Star. It was the 4th win for Oleg Stoyanovskiy, the 4th win for Igor Velichko, and the 1st win for the team. Melissa Humana-Paredes and Sarah Pavan won the FIVB Xiamen Four Star. It was the 7th win for Melissa Humana-Paredes, the 3rd win for Sarah Pavan, and the 3rd win for the team. Jose Cardenas and Josue Gaxiola won the NORCECA Norceca Beach Volleyball Circuit Mexico. It was the 1st win for Jose Cardenas, the 1st win for Josue Gaxiola, and the 1st win for the team. Zaira Orellana and Martha Revuelta won the NORCECA Norceca Beach Volleyball Circuit Mexico. It was the 1st win for Zaira Orellana, the 6th win for Martha Revuelta, and the 1st win for the team. Gothenburg, Sweden, April 21, 2019 – Top-seeded Aliaksandr Dziadkou and Pavel Piatrushka lived up to their status and earned the men’s gold at the one-star stop on the 2019 FIVB Beach Volleyball World Tour in Gothenburg. Gothenburg, Sweden, April 21, 2019 – Dutch wild cards Emi van Driel and Raisa Schoon climbed the highest step of the women’s podium at the Gothenburg one-star stop on the FIVB Beach Volleyball World Tour. AGUASCALIENTES, Mexico, April 20, 2019. - The two United States’ duos Amanda Dowdy/Corinne Quiggle and Falyn Fonoimoana/Nicolette Martin, Cubans Maylen Deliz/Leila Martínez and young Diana Valdez/María José Quintero of Mexico, reached the women’s semifinals of the NORCECA Beach Volleyball Tour in Aguascalientes. AGUASCALIENTES, Mexico, April 20, 2019. – Andy Leonardo and Luis García of Guatemala made it into the final four of the men’s division of the first stop of the NORCECA Beach Volleyball Tour in Aguascalientes. Gothenburg, Sweden, April 20, 2019 – The four semifinalists at the one-star stop on the 2019 FIVB Beach Volleyball World Tour in Gothenburg emerged after a busy competition day in the men’s main draw at the indoor Beach Center. Gothenburg, Sweden, April 20, 2019 – All teams that won the four pools on Friday emerged victorious from their quarterfinal matches on Saturday as well to advance to Sunday’s women’s semifinals at the one-star stop on the FIVB Beach Volleyball World Tour in Sweden. AGUASCALIENTES, Mexico, April 19, 2019. – Falyn Fonoimoana and Nicolette Martin of United States dominated on the first day of competition at the first stop of the NORCECA Beach Volleyball Tour in Aguascalientes. AGUASCALIENTES, Mexico, April 19, 2019. - Juan Virgen and Lombardo Ontiveros of Mexico are off to a solid start at the first stop of the NORCECA Beach Volleyball Tour in Isla de San Marcos of Aguascalientes, after winning in their two outings of the day. Gothenburg, Sweden, April 19, 2019 – Two teams from the Netherlands and one each from Norway and Ukraine won their pools at the women’s draw of the one-star stop on the FIVB Beach Volleyball World Tour in Gothenburg, advanced directly to the quarterfinals and are waiting to find out the names of their opponents to emerge from the first elimination round on Saturday. Gothenburg, Sweden, April 19, 2019 – With pool play in the men’s main draw of the one-star stop on the 2019 FIVB Beach Volleyball World Tour in Gothenburg underway on Friday, the percentage of matches resolved in tie-breaks went even higher. AGUASCALIENTES, Mexico April 18, 2019. - The 2019 NORCECA Beach Volleyball Tour season opens at the sand courts of the Isla de San Marcos in Aguascalientes, Mexico, from April 19 to 21. Gothenburg, Sweden, April 18, 2019 – Teams from Germany, Italy, Poland and Russia mastered two victories each in Thursday’s qualifications to grab the four vacant spots in the men’s main draw of the one-star stop on the 2019 FIVB Beach Volleyball World Tour in Gothenburg. Gothenburg, Sweden, April 18, 2019 – All four qualification entries into the women’s draw of the one-star stop on the FIVB Beach Volleyball World Tour in Gothenburg were decided in tie-breaks. Emerging victorious from the tough sand battles at the indoor Beach Center in the Swedish city were pairs from Italy, the Netherlands, Poland and USA. 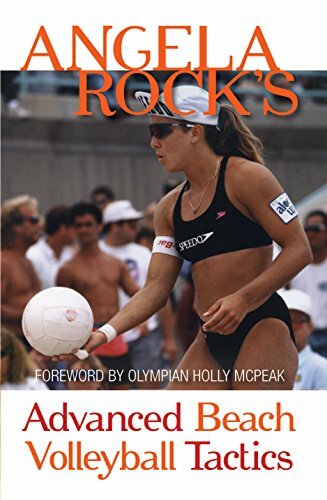 Copyright © 1999-2019 Beach Volleyball Database.